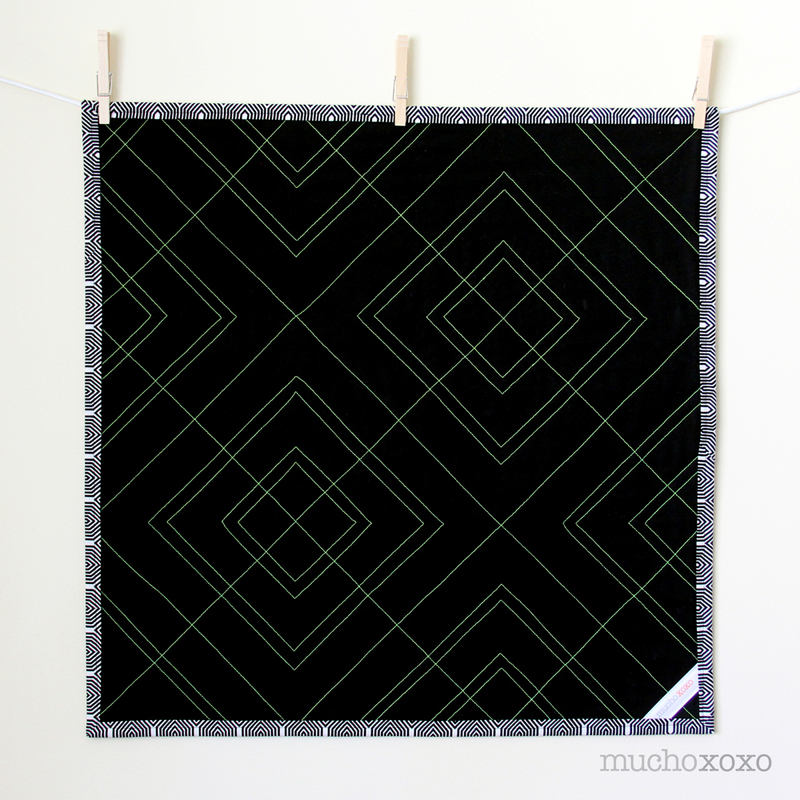 Neat quilt. And the back is SO COOL! Wow! 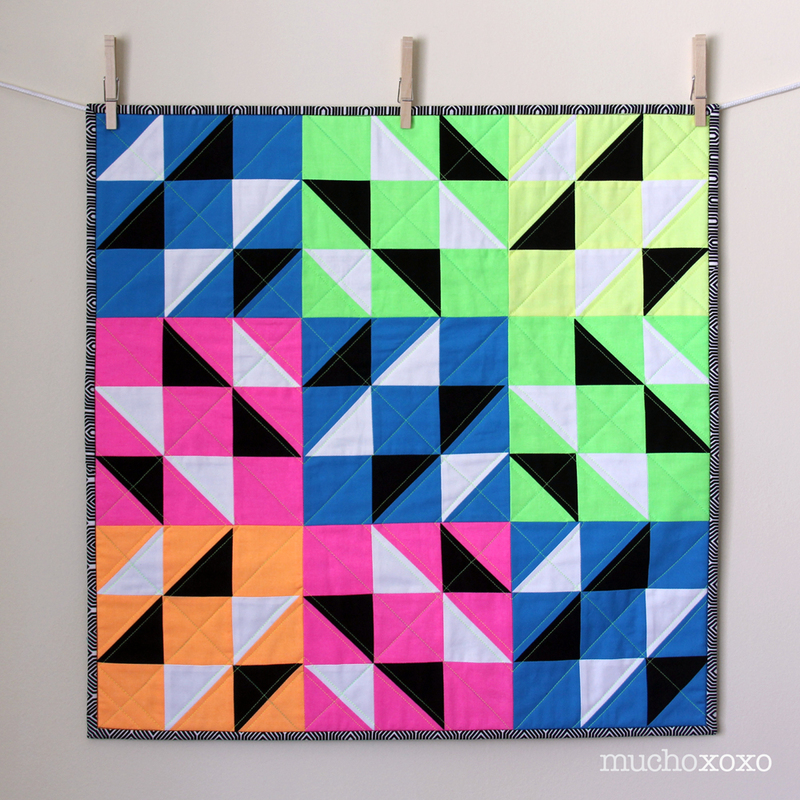 What a fun bright quilt. 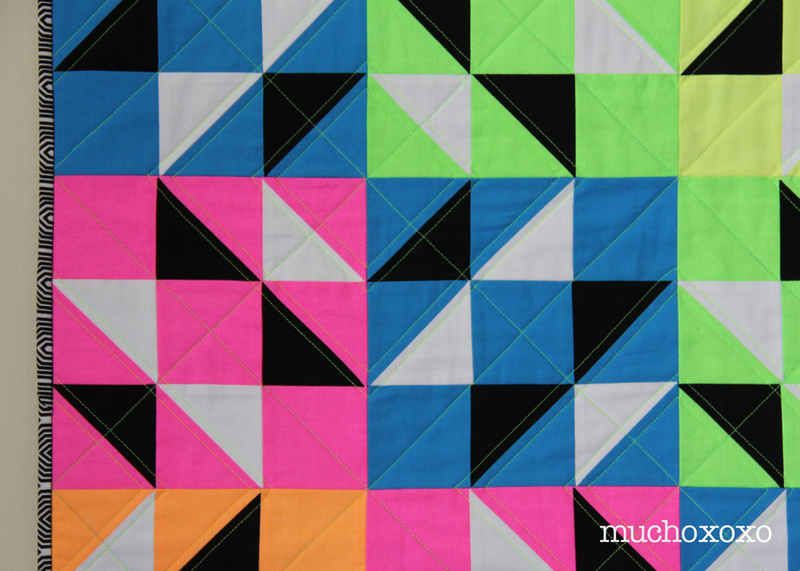 It took me a few looks before the secondary block patterns started to emerge on the front – I somehow missed the almost exploding star quality when you take four blocks together. 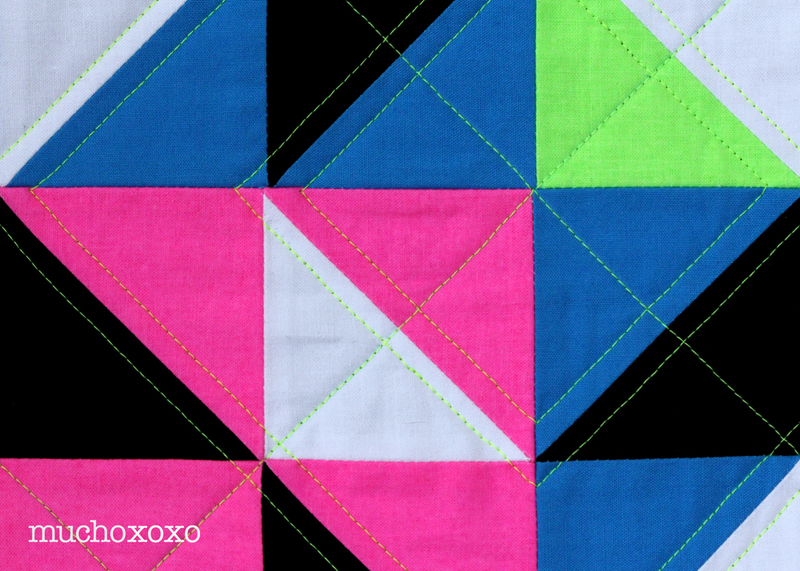 I really love the quilting on the backing a lot! It’s awesome. Love love love this! Neon, mmmmmm!